It's always fun when family commissions you to make something! 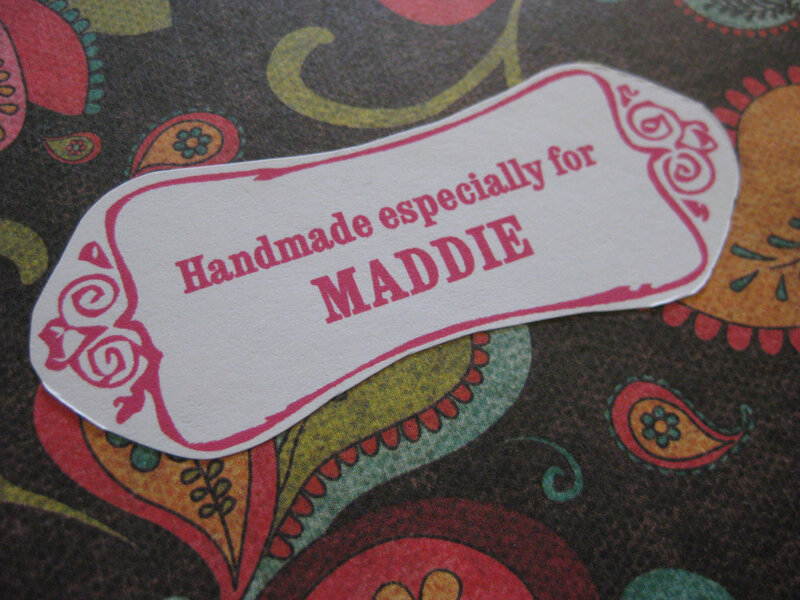 The following book was created for my cousin Alisa to give to her niece (and god-daughter), Maddie, on her confirmation day. Madeline, who at the time was 7, loves writing and sketching. 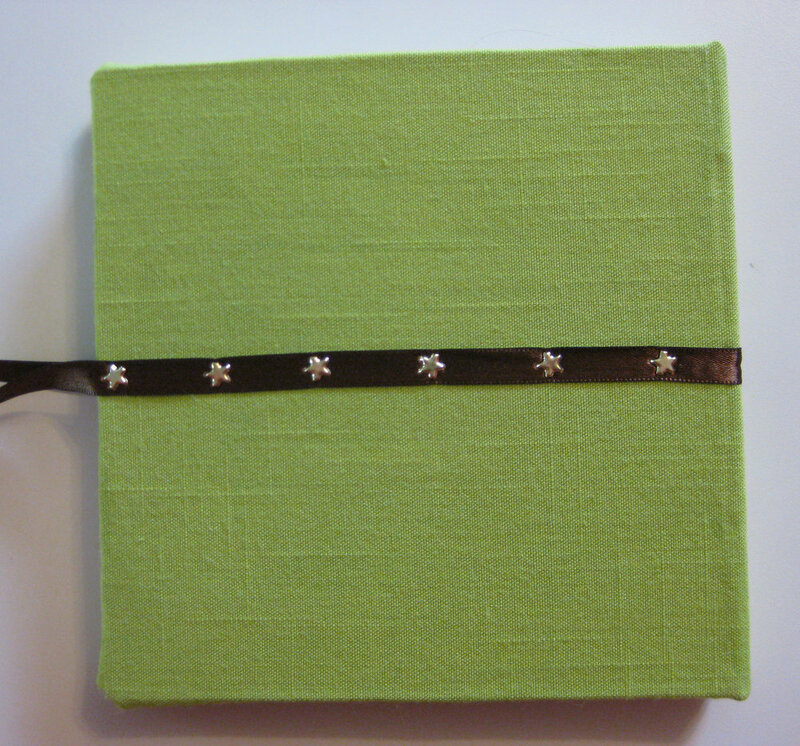 This book was intended to be a combination journal/sketchbook and also a place where friends and family could write letters/prayers. I love the lime green/chocolate brown combo and this paisley paper allowed me the chance to throw in some hot pink accents. 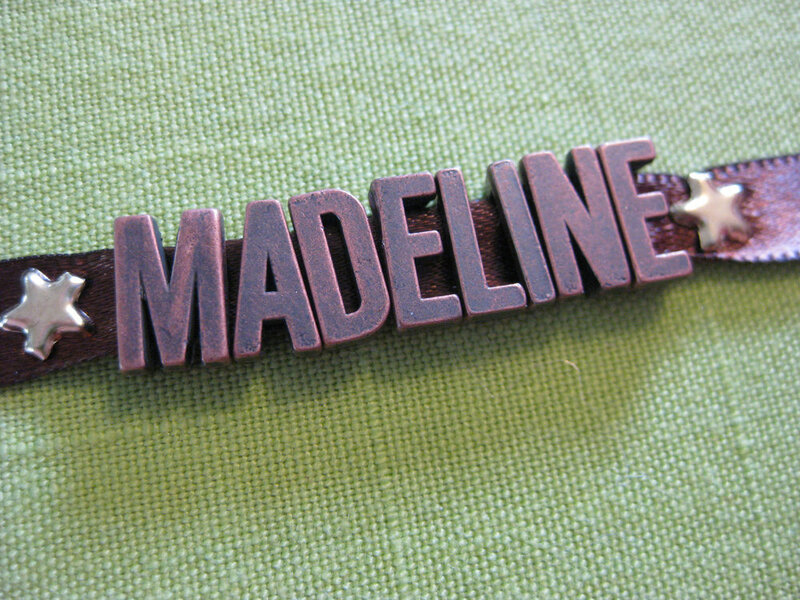 Bronze letters were strung on a brown ribbon and attached to the cover with star-shaped brads. Seriously, this paper! aah!! The colors, the whimsical pattern. Love it. The star brads continued all the way around the back cover as well. Since the ribbons wrapped all the way around the book, they allowed it to be tied shut. My cousin let me know that the book was a hit. Several family members wrote letters to Maddie, shared photos and stories, and drew pictures. 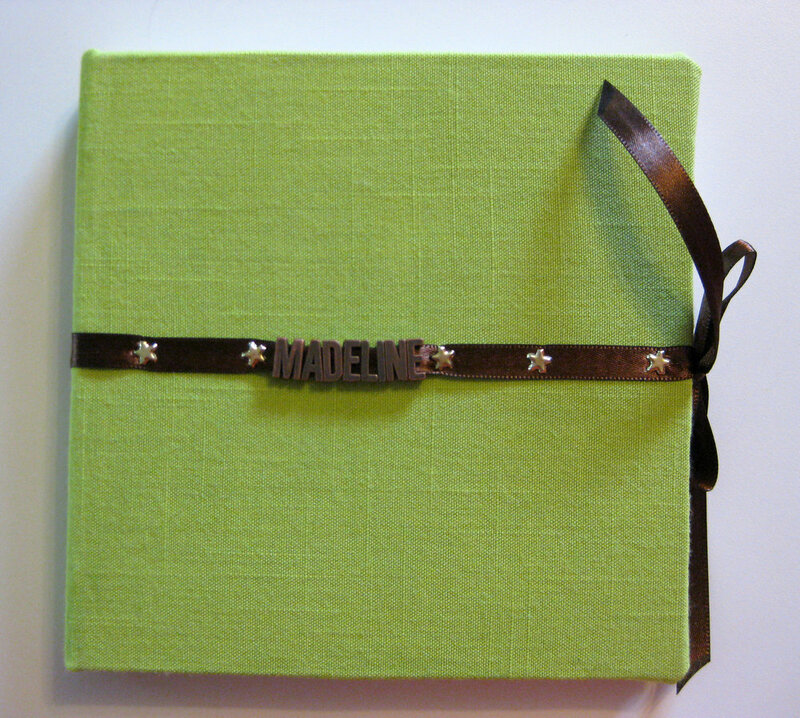 If you'd like to make a keepsake album for a loved one, email me! I'd love to make one for you!